While the east coast is experiencing heavy snow storms and below-freezing temperatures, we are relaxing in our family room at ten o’clock in the evening, cooling down our house with the windows open, listening to the calming sounds of an owl hoo’ing in a nearby tree. It reached ninety degrees today here in Eagle Rock, California. Apparently Mother Nature had no interest in Spring this year, as she’s already in flip-flops and sunglasses, sipping passion coladas on a private beach in the south of France. How do we know that? We emailed to remind her that some of us enjoy all four seasons, but we got an automated out-of-the-office response to contact her partner, Flora. But since this is her busiest time of year, we were left on our own, trying to figure out ways to stay cool. It was much too hot for hiking today, so we pumped up the A/C, turned on some summer tunes, and consumed the clock, creating a cure that could cool our cores. 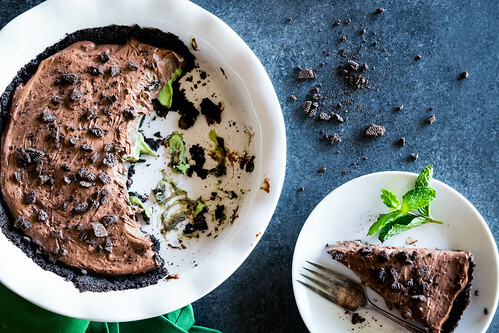 For national pi day, we took our favorite girl scout cookie and turned it into a dreamy pie—ultra-rich and mint-chocolatey delicious. You can almost feel the chilly breeze as we introduce her to you: please meet the lusciously invigorating thin mints pie. 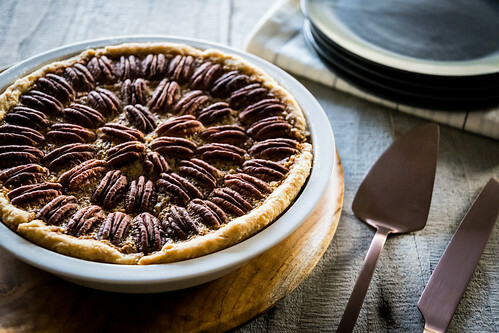 Thanksgiving dinner without pecan pie is like Christmas without presents. Or a birthday party with no cake. Or ringing in the new year without sipping on something bubbly. The holiday just wouldn’t be the same without one, sitting side-by-side with its autumnal pumpkin and apple companions. And have you noticed that every year when dessert time arrives, there is always a family member who doesn’t like one of the flavors? It’s true. Pay close attention to the comments at the table this year and you are bound to hear someone confessing their distaste for either the apple, pecan, or pumpkin. There seems to be an equal divide amongst everyone’s personal pie preferences, and we have come to accept that this will never change. But this confusion has its benefits: more pies are made so everyone is content. 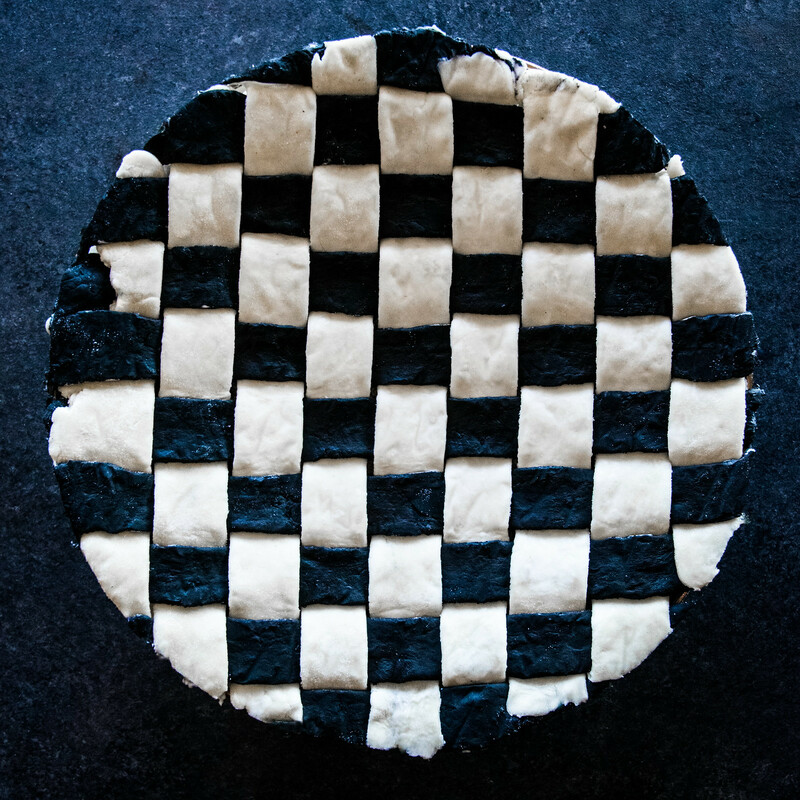 We believe that all pies are equal, and every Thanksgiving our dessert plates proudly display a slice of each one! This year though, we have something extra special to bring to the Fall feast. 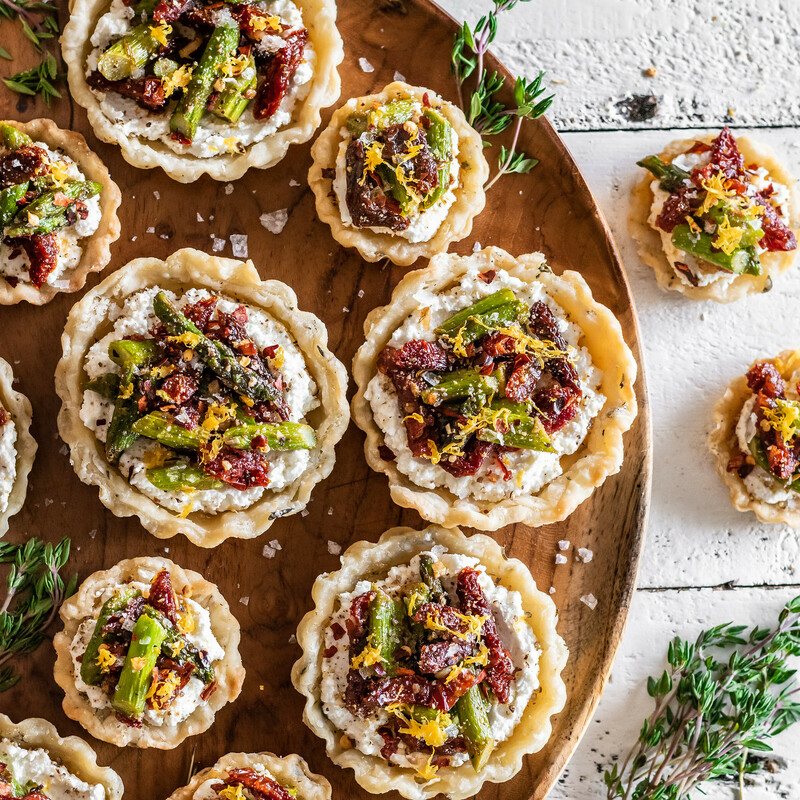 We’ve added a secret ingredient that has transformed this southern classic into an irresistible treat that everyone at the table will agree on. We have two big reasons to be excited today. The first involves this week’s travel plans, and the second one is pie. On Friday morning, we’ll be packing our bathing suits, sunscreen, and snorkeling gear and heading to the British Virgin Islands with Ryan’s family. In less than seventy-two hours, we will be sitting on a gently rocking boat, sipping topical painkillers, sampling fresh fruit and local Caribbean cuisine, and exploring beautiful coral reefs near white sand beaches. 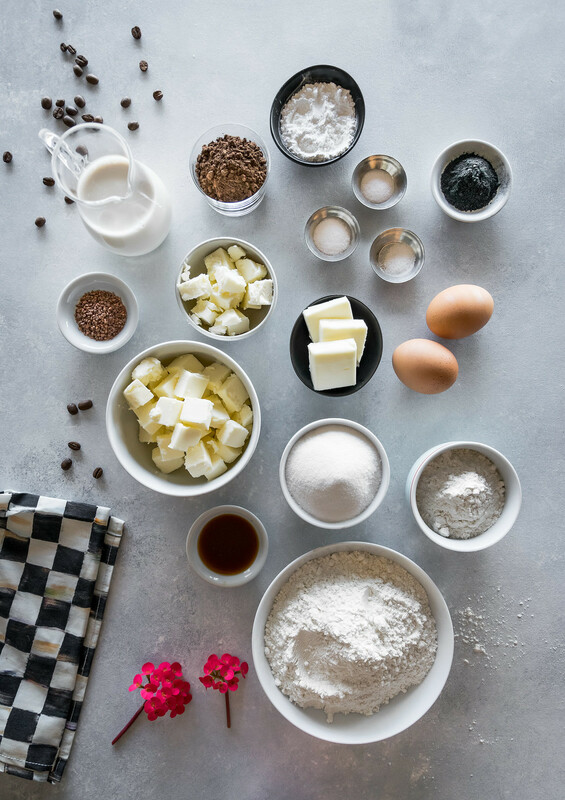 We’ll be taking a week off from posting recipes here on the blog, but would love for you to join us as we sail the high seas, so follow along on snapchat (@husbandscook) and Instagram to see fun highlights from the trip. But before we say bon voyage, we’d like to leave you with a smooth, creamy, chocolatey dessert that might just change the way you look at pies forever. 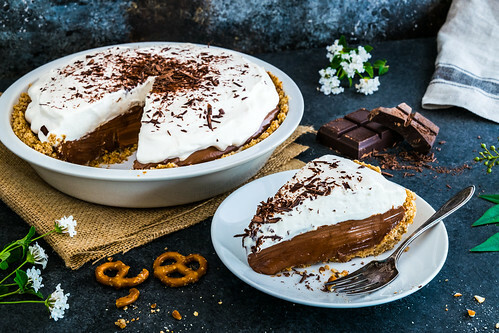 Say ahoy to nutella cream pie with a pretzel crust.